As dusk begins to close in upon him, the last light of the lowering sun sets the eyes of a young Leopard aglow. 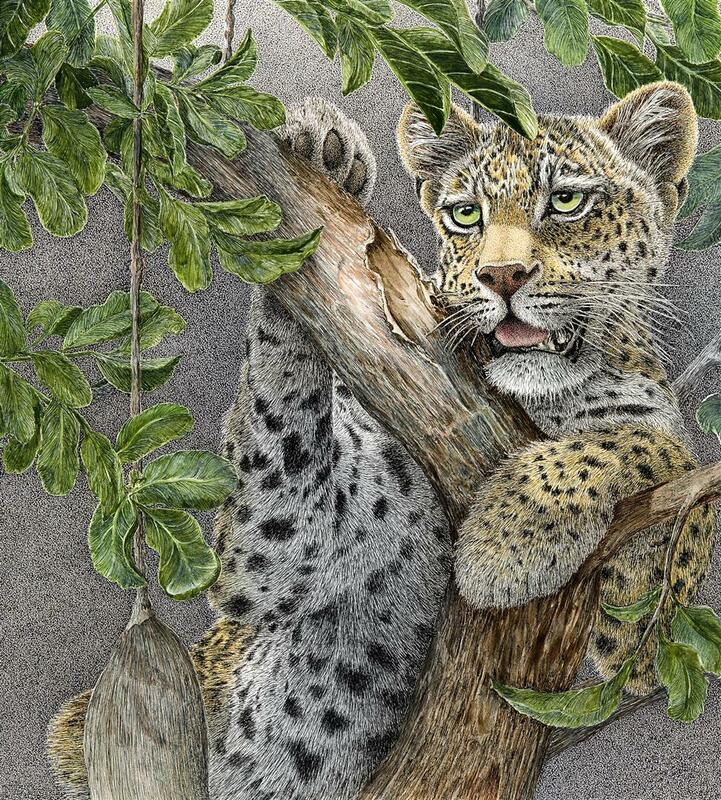 Sprawled among the leopard-favored branches of a sausage tree, he is safe as he surveys his future kingdom. Still too young to hunt on his own, instinct has driven him to seek refuge where camouflage and elevation work to his advantage. Requiring patience, it is a precarious time in his schooling. Perhaps, it is best just to watch for his mother’s return with dinner in her jaws.